Learn how to use the untapped powers of your mind to increase your sales and income. Read stories from the many Silva graduates who have used Jose Silva's techniques to increase their sales. Here are the revolutionary secrets of success you have been searching for! Learn to increase your referrals and get more appointments, conquer fears of rejection and failure and how to reach and exceed your sales goals and quotas. Sales Power for Sales Professionals will teach you how the superstars accomplish miracles of success. Now you can easily learn how The Silva Method -- used by millions of people to increase productivity by lowering their brain waves -- can be applied specifically to selling with astonishing results. 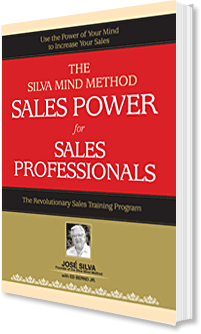 Let Sales Power for Sales Professionals show you how The Silva Method can quickly develop the power of your greatest asset: your mind to awaken the sleeping genius within you and become a superstar of sales success! Author Jose Silva with Ed Bernd JR.